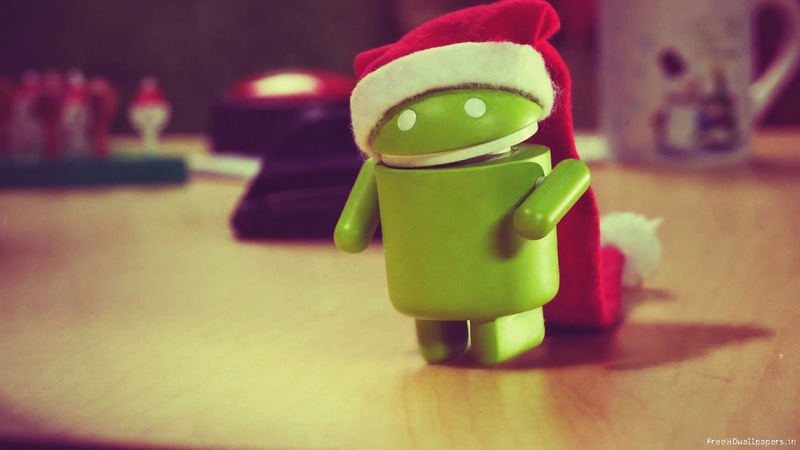 Android Christmas Apps are great fun apps that makes sure we are never kept on boredem. These apps also makes us remember about the birth of Christ Jesus our Lord. Today's stroll, I would Highlight 5 of the best free christmas apps for android. This is a great android app that is dedicated for christmas festive period. Its a free puzzle game precisely that works fine with very interesting modes. It has an amazing artworks with addicting mini games. In this game, you are to solve as many puzzles as possible, and the more puzzles solved, there is an unlocked door. So what are you waiting for, hurry up and download this lovely app. These are collection of wallpapers and icons that works on android device with either the compatible Nova Launcher, Go launcher or Apex launcher. Before installation, make sure that your android launcher is very much compatible with your device. Go Launcher- To install via Go launcher, simply move to go launcher menu and then select themes. Nova Launcher- To install via Nova launcher, simply go to settings > Look and feel > then select the icon pack of themes and apply. Apex Launcher- To install via Apex launcher, simply go to settings from your apex launcher menu, then select theme settings and select the installed theme. The app is a really great one, and I advice you download it. This is another interesting christmas app, collections of wallpaper preciely with loads of funfair features. With these collections of wallpaper, you get to see the spirit of christams on your hoame screen. The app also has a sensitive feature, just try to touch any character and see what happens. To change the character acceleration, simply double tap on the screen and then open the live wallpaper settings, you can apply the changes from there. This is another great android app that also comprises of theme collections. The app also works hand in hand with Go launcher themes. I recommend this app for android users that already have Go launcher on their android device. This is one of the most interesting fun app. The app includes all the new stunning arts, paths, challenge, super cool rocket power ups and other interesting features. I do advice you also download the app. Awesome post which contain very useful information about 5 of the Best Free Christmas Apps For Android. Very interesting article. I liked it. I hope it will helped me. Once again thanks for sharing views. Have a great week ahead. Nice aticle Anyikwa is i did try some of the apps and they are very nice and added flavour to my xmass celebration. Thanks once more.